VATICAN CITY (CNS) — Italian authorities arrested six suspects who allegedly received orders from the Islamic State terrorist group to attack the Vatican and the Israeli embassy in Rome. Authorities monitored a series of conversations between the suspects via the WhatsApp mobile messaging service. One of the messages sent to Moutaharrik said: “Dear brother Abderrahim, I send you … the bomb poem … listen to the sheik and strike,” ANSA reported. 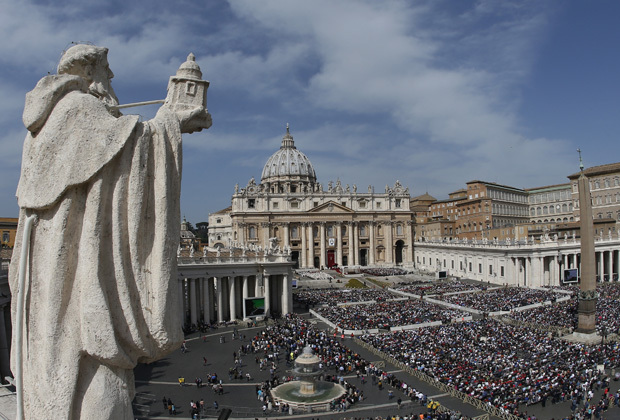 In April 2015, Italian authorities arrested or were seeking up to 18 individuals linked to al-Qaeda who were suspected of plotting attacks against the Holy See since 2010, according to published reports.